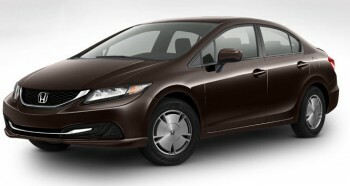 The 2014 Honda Civic is classified as a compact car. While still spacious enough to comfortably seat five, its smaller size can lead to improved fuel economy for those drives between Middletown and Mechanicstown, and anywhere else. If you’re considering the 2014 Civic, you may also have your eye on the 2014 Toyota Corolla. The 2014 Toyota Corolla was recently redesigned, and that included a boost to its mpg rating. Is one vehicle more efficient than the other? 2014 Corolla models are all powered by a 1.8L four-cylinder engine. On all but the LE Eco trim — we’ll get to that in a bit — the engine produces 132 hp and 128 lb-ft of torque. 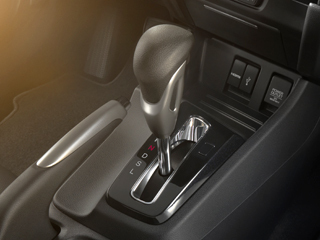 With the standard six-speed manual transmission or four-speed automatic, the engine is rated at 28 mpg city and 37 mpg highway. If you bypass the 2014 Toyota Corolla’s weak four-speed automatic transmission, there’s also a CVT that boosts fuel economy; however, these models aren’t quite as efficient as the Civic, coming in at 29 mpg city and 38 mph highway. Both of these engines have high-efficiency trims that raise fuel economy even higher. The 2014 Toyota Camry LE Eco changes engine output to 140 hp and 126 lb-ft of torque — still less power than you’ll get from the Civic — while fuel economy is improved to 30 mpg city and 42 mpg highway. On the other hand, the 2014 Honda Civic HF with the CVT improves fuel economy to 31 mpg city and 41 mpg highway. * The combined mpg ratings for the 2014 Honda Civic and 2014 Toyota Camry are the same, but if you do a lot of commuting and driving around town, the extra city mpg for the Civic could certainly help. The last thing to mention is the 2014 Honda Civic Si. With Toyota, you have no other engine options. 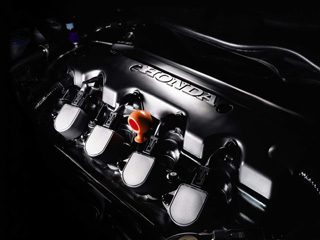 The Civic, on the other hand, is available as high-performance Si model, featuring a bigger 2.4L four-cylinder engine with 205 hp and 174 lb-ft of torque. Fuel economy for the 2014 Honda Civic Si sedan is 22 mpg city and 31 mpg highway,* but you’re getting a lot more performance. At Middletown Honda, you know where we stand in this comparison. In our opinion, the 2014 Honda Civic is a superior vehicle, mpg and all, to the 2014 Toyota Corolla. The final decision is yours, though, so come to Middletown Honda to learn more. You can take a look at the different Civic mpg options and take a test drive. We’re only a few minutes from Mechanicstown, at 520 Route 211 E. in Middletown, NY.